Artist Tracy Ellyn was juried into Manhattan Arts International’s “The Healing Power of Art,” and is a recipient of the Award of Excellence. The exhibition, curated by Renee Phillips from entries from around the world, features Tracy’s piece, “Evening MiSheberach” from her Refuah series. The 5 feet long mixed media piece with pen & ink on metal is made of multiple layers of 19th, 20th and 21st century techniques, which has become her signature. 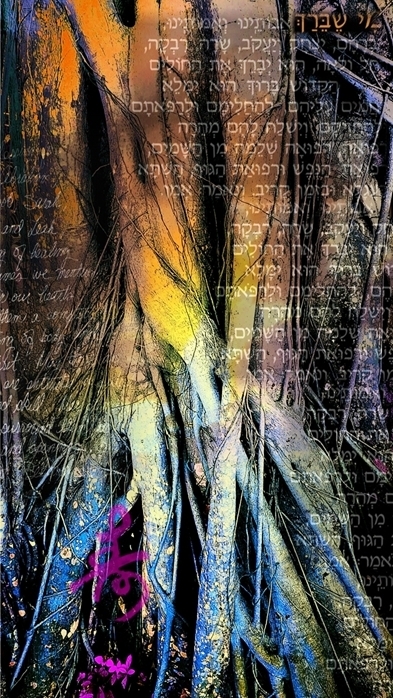 In the Fall, the artist plans to place pieces from her Refuah series in hospitals and chemo rooms in Miami, New York, Jerusalem, and as requested by individuals, hospitals and foundations. The exhibit runs from July 20 – September 20, 2016, and images and other inspiring award winners can be found at www.manhattanarts.com. The artist can be contacted at her website at www.tracyellyn-recentworks.com.